Quick Hack for Jumping Any Oversized Terminal You Can’t Attach to Directly with Alligator Clips « Adafruit Industries – Makers, hackers, artists, designers and engineers! Spoiler: the answer is solder! This actually makes a lot of sense. After all solder is what is used to bridge electrical connections when melted on PCBs and perfboard circuits, so why not use it directly when you can’t attach a smaller alligator clip to a larger ‘fat’ terminal. Just trim a length of solder, wrap it around the post and twist it for integrity; then you can attach your alligator clip to the solder, acting as a pass-through connection. 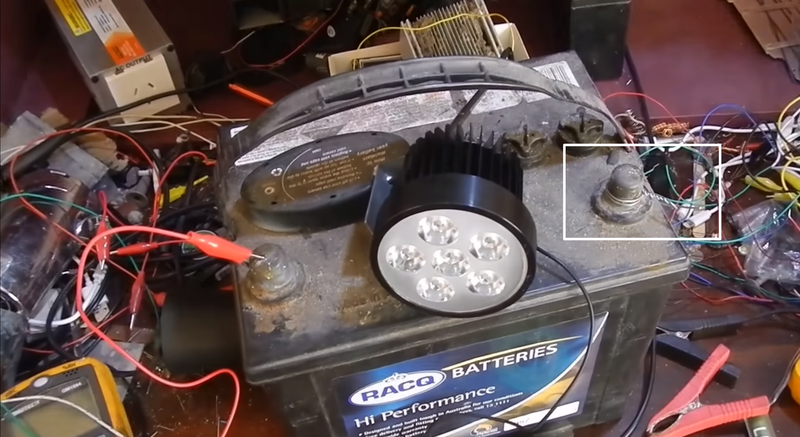 Thanks to Mongrel Shark for sharing this on the Makers, hackers, artists & engineers Google+ Community – I’ve definitely been stuck in scenarios like this before and hadn’t considered a strand of ‘cold’ solder as the solution for hopping from one connection to another.